Ever wonder what life is like as a Gordon student? Read on to meet Chelsea, Sam, Libbi and Nate, four current students who are growing in faith, exploring academics and thriving in Christian community . 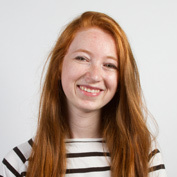 . .
Chelsea Kapes is a sophomore studying English Literature and Political Science. She participates in the Jerusalem and Athens Forum and A. J. Gordon Scholars honors programs, and directs the Advocates for a Sustainable Future council. She enjoys exploring local beaches and running. Someday she hopes to pursue a career in environmental law. Sam Sherratt is a sophomore biology major with an interest in molecular biology and environmental science. In addition, he is a biology mentor, biology T.A., and member of the grounds department. 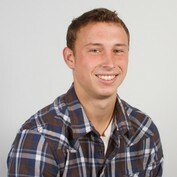 In his spare time, Sam enjoys hunting, fishing, gardening, and playing soccer. He aspires to continue his studies at the graduate level in automotive engineering. 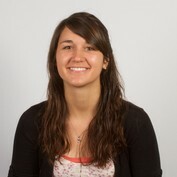 Libbi Wilson is a sophomore linguistics major from Portland, Oregon. She studies Mandarin Chinese and German and participates in the Jerusalem and Athens Forum. In her spare time, she enjoys hiking and hopes to scale Oregon’s Mt. Hood someday. After Gordon she plans to attend graduate school and pursue a career in academia. 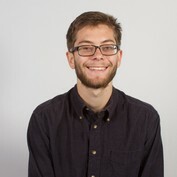 Nate DiMauro is a junior studying Creative Writing and Music with a Percussion concentration. He is a Music Editor for the Idiom art journal, an A. J. Gordon Scholar, an Elijah Project fellow, and a runner on Gordon's Cross Country team.